This wooden lantern light box is a cute, whimsical decoration! The included LED light displays 16 different colors, each giving off a beautiful bright glow. The design has been laser cut into 3mm basswood which has been sanded, stained and finished by hand. 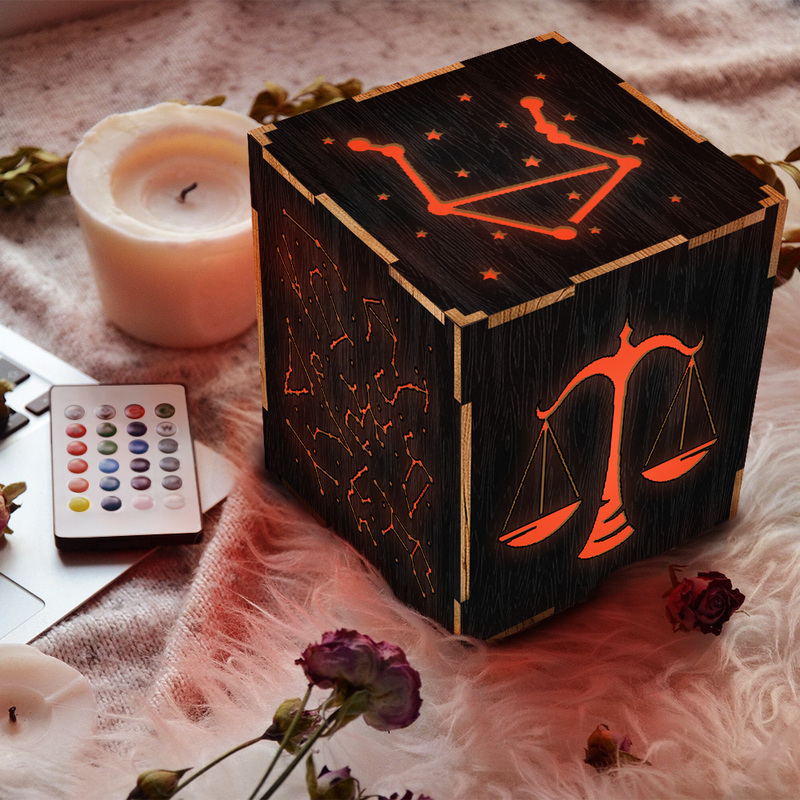 The inside of the box is lined with white sand paper to diffuse the light and give a nice glow. Each box measures 4" x 4" x 4". It can be connected via any 5V USB port. You can plug into different devices, such as computer, desktop, laptop, TV, power bank, cell phone charger, 5V adapter and so on.